This record-breaking Dubai skyscraper was formerly known as the Infinity Tower. 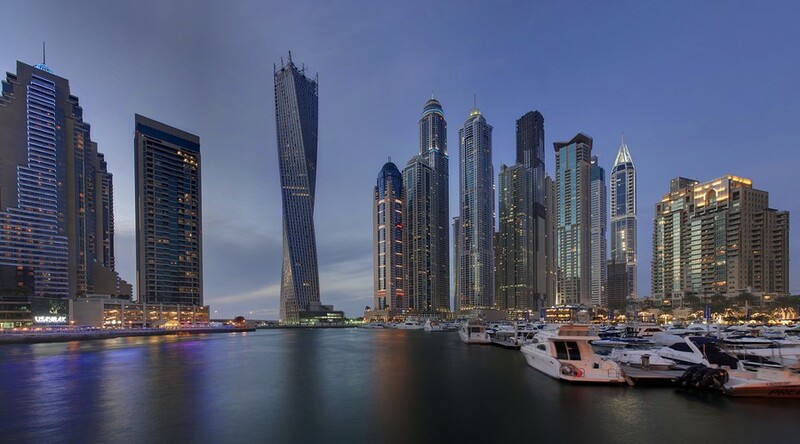 Dubai, June 2013 – Cayan Real Estate Investment and Development Company has launched its award-winning AED 1 billion Cayan Tower; formerly named ‘Infinity’. The Tower, which broke the record for the tallest twisted architectural creation in the world, was inaugurated with its new name at the event, which showcased the first-of-its-kind 3D mapping projection; on its 310-meter high helix structure. With 80% of the residential units already sold, the Tower is the firm’s flagship project in Dubai. The 90-degree twisting tower adorning the Dubai skyline has attracted worldwide attention. Cayan Tower, designed by the world-renowned masterminds behind the “Burj Khalifa” Skidmore Owings and Merrill, boasts 75 floors in an unparalleled synergy between uniqueness, functionality, efficient space planning and the use of high-end materials. “In a city like Dubai with sophisticated world-class developments, Cayan wanted to develop a project to stay within this space, and provide a remarkable lifestyle development with these characteristics to the Dubai skyline,” Ahmed Alhatti, President and Chairman of the Board of Cayan Group, said. “The Cayan Tower provides residents with stunning panoramic views of the Palm Dubai and the Marina. Cayan Real Estate Investment and Development Company has been in the Dubai real estate market since 2004. Its projects, estimated to be worth around SAR 10 billion, cover a wide spectrum from exclusive residential property to commercial space. The company handles all corporate activities, location and land sourcing, conceptualization, financial modeling, project management and execution, shareholder and stakeholder management and customer services.